I was playing around with statistics from UNESCO to see if there were any trends in education spending over the past few years. 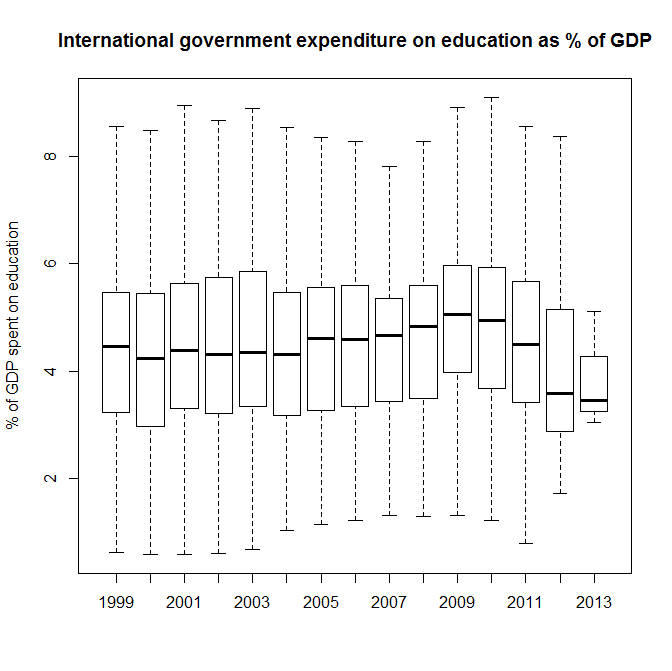 Here’s a box plot showing the average international % of GDP spent on education in the last 14 or so years. The 2013 data seemed a bit sparse, so it might be wise to ignore it. Seems like there is a trend of decreasing spending in the past 4 years, but not a huge change over the past 10 years. Enjoy!